Model: Nokia's phone range doesn't mess about with confusing names. The higher the number, the better the phone is. 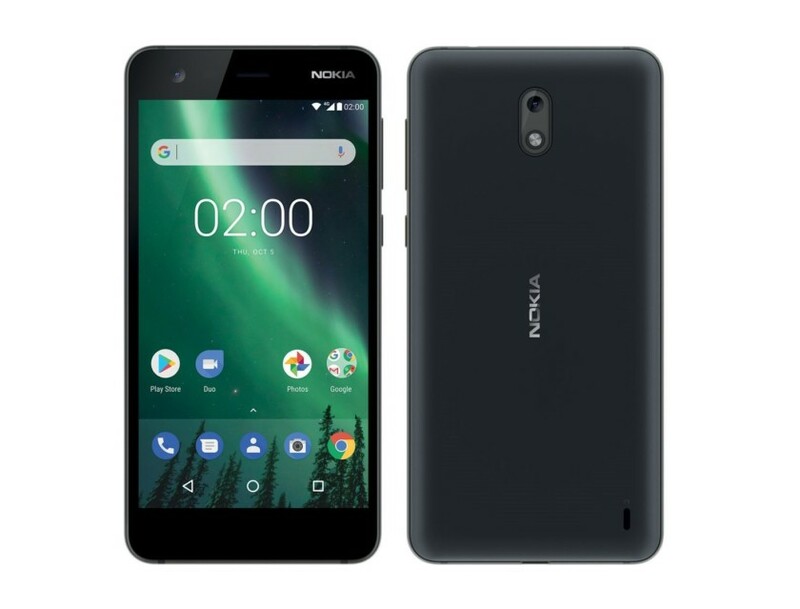 The Nokia 2 is a basic smartphone for those who want something that doesn't cost a lot SIM-free, or that comes 'free' on an affordable contract. There are a few neat parts of this phone, though. It has metal sides rather than a pure plastic frame, and the screen is surprisingly vivid for a low-end model. The Nokia 2's battery is also huge at 4,100 mAh, letting it outlast any big-name phone in this class. The Nokia 2 does not seem especially heavy or fat even though it has an unusually large battery. It's 9.3 mm thick and 161 g so is empirically quite chunky but hides this fairly well. The Nokia 2 looks like a relative of Nokia's old Lumia phones. It has a pull-off plastic battery cover, curved to feel good, but the sides are anodized aluminum rather than plastic. Some phones with metal sides manage to feel quite high-end even with plastic rears. The Nokia 2 doesn't, because of the plastic's curve and that can feel there's a slight air gap under the battery cover. It doesn't have the pleasing density of a unibody design. However, considering the price, a user should feel happy with the Nokia 2's build. Metal edges aside, there's nothing fancy to the Nokia 2's hardware. It uses a rapidly-aging micro USB charge socket, and there's no fingerprint scanner. The Nokia 2 has no water resistance, though. There are no rubber seals anywhere. The Nokia 2's screen is one of its stronger elements, even though it doesn't sound that good at all on paper. It's five inches across and has a resolution of just 720p. The Moto G5 and Huawei P10 Lite both have 1080p screens. It’s not a huge issue, though. 720p still looks fairly sharp at this size, and obvious pixelation is only evident in small fonts. Color and contrast are both remarkably good, giving the Nokia 2's display a rich and potent appearance. There's no customization of the color profile, but it looks perfectly fine as-is. HMD Global hasn't skimped too much on protection either. A pane of Gorilla Glass 3 sits on the screen. It's not the latest version of this toughened glass but will still keep scratches away if users treat the phone reasonably well. As the user would hope, there's an auto-brightness setting, and it works fairly well. Nokia's night image processing has a fair stab at maintaining some semblance of detail and color at night, but the result is shooting that's almost criminally slow. A user has to wait several seconds for the Nokia 2 to do its thing before the process is finished. The phone also uses rather slow shutter speeds at night, meaning the user will often find photos appear blurry even if they could swear their hands were perfectly still. 60.52%: Such a bad rating is rare. There exist hardly any notebooks, which are rated worse.